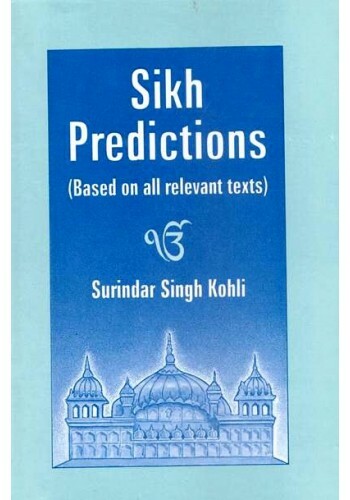 Sikh Predictions, this enchanting book of prophecies made hundreds of years ago to predict the forthcoming events that are going to take place in AD 1999 and after throughout the world. Wherever Guru Nanak went during his Missionary journeys, all those areas will form part of the Khalsa Kingdom. The Khalsa is going to rule for several centuries and all the blessed Sikhs and saints have already taken birth for this. 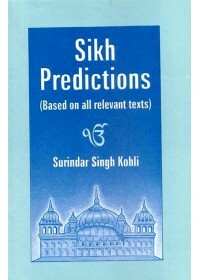 For the Sikhs the interest is in the religious background, but for the others, it revolves around its historic significance and resemblance with other worldpredictions. Professor Dr Surindar Singh Kohli is the very first and seniormost Professor of Punjabi language and literature, awarded 'Sahit Shiromani', retired as the Professor and Head of the Department of Punjabi, Punjab University, Chandigarh, India. He has made a significant contribution not only in the field of Sikh philosophy and religion, but also in the field of com­parative religion. His work is marked by clarity and brevity. He has made a thorough and critical study of the Sikh Scriptures in a dispassionate and scholarly manner.